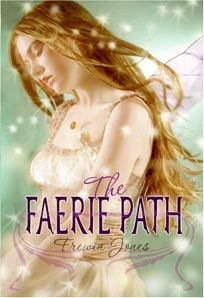 British author Jones's floral Faerie tale may unspool at a measured pace, but girls will likely take to Anita, who has a boating accident with her boyfriend (they met playing Romeo and Juliet), the day before her 16th birthday. While in the hospital, she anonymously receives a beautifully bound blank book-but when she reopens it, she discovers the story of a fairy princess named Tania (the seventh daughter of King Oberon and Queen Titania) who vanished on the eve of her 16th birthday. Anita learns that she is in fact Tania (if the anagram is not enough of a clue, the appearance of Duke Gabriel Drake in her hospital room is) and that the kingdom of Faerie has been in a 500-year-long period of gloom since Queen Titania died of heartbreak at her daughter's disappearance. Tania oscillates between the two worlds, and Jones devotes much of the narrative to the teen's inner turmoil over which is her true home. Before her disappearance, Tania was to marry Gabriel, thus uniting two powerful Faerie houses. But Gabriel's intentions turn out to be less than noble. A well-executed reference to Romeo and Juliet gives the finale a bit more punch than most fantasy romances. Ages 12-up.